I looked up from my work to find him down on one knee, with his shoulders squared and a quirky smile on his face. He was kind, generous, smart and fun. He possessed an appreciation for life, and apparently, the other half of my soul.“Will you marry me?” Besides, he knew how to cook. He was French. And while his accent was exciting to my friends, I wanted to understand him the first time he said something: “I’m sorry, did you say ‘can’ or ‘can’t’ that time?” But in this Instance, his words and intention were very clear. He waited patiently for my answer. I searched my heart and gave him the only answer I could. There was so much that most of the world based their lives on that I just could not figure out. For instance: Who were “they,” and why did what “they” were thinking, wearing or doing dictate what I was supposed to do? Why did some people consider others more valuable or important, when we are all made of the same stuff? And why did people even get married in the first place? Still kneeling and apparently undaunted by my blank stare, he began to sing me a song. He must have sensed that although I was enjoying his performance that I really did need to know why. He began to share his dream of what he saw marriage being: Our relationship would be a priority, exclusive and protected, a real partnership with a true connection, different than any other relationship—closer than a best friend or even family. A soul mate. The kind man with the incomplete soul presented a worthy picture. I said yes. And then, I panicked. I had no idea how to create such a wonderful marriage, and I would accept nothing less. If I was going to do this, it would have to be worth doing. As a graphic designer, I had mentors—people who had succeeded brilliantly in their craft. I traveled to hear them speak, sitting in the front row so I could soak up all they had to offer. I would seek their guidance. Although I had seen many marriages, no one I knew lived the picture of marriage that I wanted to build. I remembered Nana’s kosher kitchen, with the layers of yellowed, plastic lace-like tablecloths, and margarine instead of butter on the table. I loved margarine. This could work. As for Shabbat? My husband taught me what heI remember Nana’s kosher kitchen knew, like taping light switches so I wouldn’t accidently turn them on, how to soak and salt meat (not knowing that in America kosher meat was sold already soaked and salted), and other interesting things. Haircuts and yard sales on Shabbat would be replaced by leisurely meals, long walks and time together. Saturday was now a day of rest. Wanting to learn more, I sought out the wisdom of a kind, older rabbi in our town who had impressed me with the simplicity of his Yom Kippur sermon. After confirming that my husband would really be OK with this, he gave me a pile of books to read. When he retired, we found a congregation that was just forming, with a young rabbi and his wife. Although they were obviously over the top with their observance, there was a simple truth and a joyful warmth about them, and we became good friends. Together with other newcomers, we learned and did, each mitzvah opening up understanding for us to want the next. We were called baal teshuvas (or “BTs”), meaning those who return to their faith. How could we return to a place we never stood before or even knew existed? We each have a soul that is connected to our Creator, the process of learning and doing mitzvahs cleans up that connection so we can feel the closeness that is always there. The “return” is to our essence. Wanting to add healthy and natural to our new dance, we left our BT cocoon and moved to Vermont. Without a true Torah presence in the area, we connected back to our over-the-top rabbi and his wife, who connected us to a few other rabbis and their wives, and together we started creating that presence by running events. We would find the venue and send out the PR, while the children colored posters, and the rabbis added the soul. Our first matzah bakery—with hands-on demonstrations of the process of baking matzah, along with general education about the holiday of Passover—was an overwhelming success. It attracted much curiosity: Local Jewish people who knew little or nothing of their roots came, school superintendents, public officials and some who were excited to try the delicacies a bakery named “Matzah” wouldcertainly produce. One of our matzah-bakery rabbis soon started driving an hour each way to our home to teach us Torah—a living, breathing instruction manual from our Creator to tell us how to use all we had been designed with to its greatest potential. And there was instruction on just about everything: business, food, science, morality, personal growth and relationships. These guys discussed “Mars and Venus” before anyone had even thought of how the differences between men and women relate to our interpersonal relationships. Torah is a parenting guide par excellence and a marriage guide with laws that when followed have the power to build a relationship that is strong and complete. Although marriage is not easy, starting your life based on the premise that a husband and wife are two halves of one soul changes everything that comes afterwards. 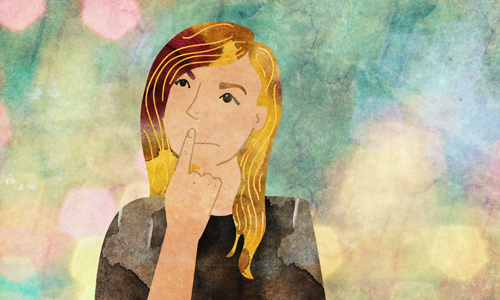 At first, I questioned it all, needing the whys and how-comes for every new mitzvah. After time, it became like turning the key to my car. No need to know about the pistons and electronics; I trusted it would get me there, and I just wanted to go! Learning how powerful our Hebrew names were, we started using them and began celebrating our birthdays on the Hebrew calendar. My husband wanted to wear a kippah, and I felt drawn to cover my hair. “Just do it,” was a friend’s response. And I did. And it was there, on that mountain in Vermont,On that mountain in Vermont, things flipped things flipped. Instead of “living life and doing mitzvot,” we were now “living mitzvot and doing life.” And the more we did, the more life came into focus. Sort of . . .
As someone who did not grow up with these traditions—or even have a point of reference with which to approach some of them—my enthusiasm and lack of information made for a powerful and klutzy existence. The details would come with time. Until then, I imagined that G‑d was very happy and thoroughly entertained. It seemed that I needed to ask more questions. In fact, each time I felt lost or frustrated, confused or confined, I learned that I was just not asking enough questions. In Judaism, questions are very encouraged. Which was good, because we had so many of them. Afraid of overwhelming our kind rabbi, I assembled a corps of rabbis: some far away for more personal questions; others for specific questions; one who was exceedingly gentle; and another who we were told would crawl through a vault of books until he found our answer. I then added one more to spread the wealth, leaving no rabbi with an unduly heavy burden. As we journeyed to bigger cities to find yeshivahs for the children, who were now growing in years and number, we realized that learning Torah on a mountain top through stories of sages—with our squadron of rabbis and their families as our only role models—had left us painfully idealistic. Jewish people are human and fail sometimes, even the observant ones. We all have something to work on and while I might be able to hide my stuff neatly inside, others have more exposed challenges. And then there were those we only hoped to become like: a woman who stands in all weather collecting money for people she doesn’t know; a rabbi who stood up to his biggest supporter, willing to give up his dream, in order to protect the education of one child; a young couple who fills their Shabbat table each week beyond reasonable capacity with total strangers. Why? (That question again.) Because they are not strangers. Each of us has a piece of G‑d in us, which makes us all family. Funky at times, but still family. And our father, no matter what we do or don’t do, we are all His beloved and worthy children. There is nothing we can do to harm the love He has for us. Ever. And the Torah is His gift, our birthright, our instruction manual. I had no idea that this is what being a Jew was. It was as if I had been using this instructional manual called Torah to prop open a window while I ran the program called life at a fraction of its potential. Well, no longer. What began as a quest for a recipe for marriage became a door into a world I am grateful to be “returning” to. Other than the fish head, the laws and traditions never asked anything of us that was not pleasant or good. In them, we found that each person is invaluable—and to embarrass someone is equivalent to killing him. I’ve even learned that a fish head can be quite tasty to some when cooked first. Each time I learn more, I am grateful for theEach time I learn more, I am grateful pure truth of what I knew deep inside, all from a source written at the beginning of time that is eternal, defined and consistent. I have found a new rhythm for life—a lively Chassidic beat called chayus, a pounding inside when you are in sync with who you are and where you should be. It’s the high on the mountain that you wish you could bottle while you figure out how to generate more tomorrow. It’s the power of love and giving and joy that bubbles up and over the top causing you to sound really odd, with a smile that looks like you slept with a matzah stretching the corners of your mouth. Although some may shudder at our over-the-top lifestyle, I shudder at the thought of not having it. The original plan was to be bold and have three children. We had no idea how bold bold could be, or how miraculous it would be to raise each one of them. It is through these children that I have those mentors and role models for the type of person I am working to become. Chana Gittle Deray is an inspirational speaker and author best known for her warm humor with a strong purpose. This article is excerpted from her first book, Kugel Chaos and Unconditional Love, a humorous collection of stories on family life, marriage, growth, female empowerment, gratitude and faith.